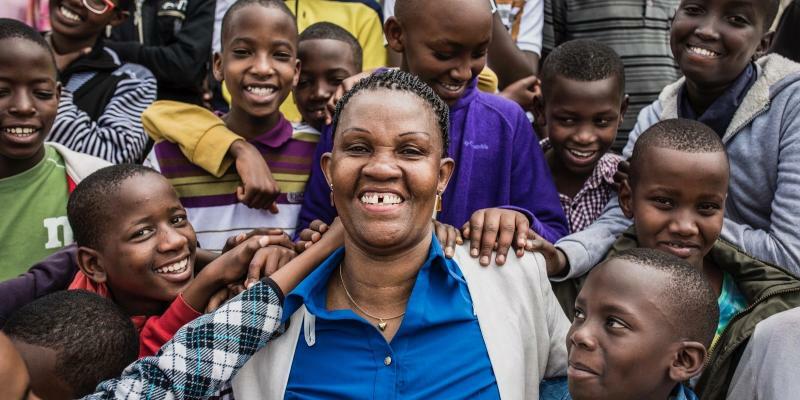 When Spès Nihangaza and her big sister Caritas were growing up, they were taught to help others. 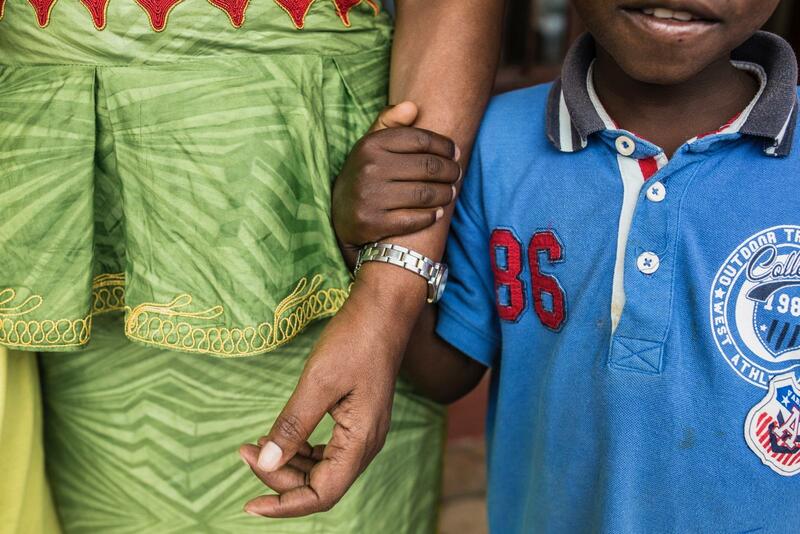 When helping sick patients at a hospital in Burundi’s capital Bujumbura, they soon realised that the patients’ children also needed help. So they set up FVS, which now works to protect children’s rights across the country. It all started when two of Spès’ uncles became ill at the end of 1989. Spès had recently qualified as a pharmacist and was working at a pharmacy. Her big sister Caritas worked as a nurse. The two sisters and their seven other siblings were used to taking care of others. The door was always open at their parents’ home for anyone who needed help. Spès’ grandfather of-ten talked about how her great great grandfather looked after orphaned children after his village was struck by a deadly epidemic. Spès’ parents’ house was also home to several of Spès’ cousins, who had moved in after their parents died in a car accident. Spès’ mum and dad said that the children should be willing to share both their food and their rooms with relatives or neighbours who needed help. So it felt completely nat­ural for the whole family to step in and help the two uncles when they became ill. The siblings and cousins drew up a schedule to make sure the uncles had visits every day. They brought food and helped with washing, shaving and cutting their hair. They brought clean clothes and sat and chatted with them. No-one knew what was wrong with the uncles. One day, when Spès arrived at the hospital, she saw that the other patients were watching her. Spès and her big sister Caritas (standing to the left of Spès) grew up in a home where they always made an effort to help the sick, the poor and the weak, and they have continued to do this throughout their lives. Here they are visiting a solidarity group, whose members take care of orphaned children and help to ensure they attend school through a system devised by Spès. When she got home, Spès told the rest of her family what she’d found out. They decided to take a little extra food with them, but no matter how much food they took it was never enough. Her big sister Caritas started visiting the women’s ward at the hospital. She noticed that several women had their children with them, as there was no-one else to look after them. In order to help as many patients as possible, Spès, Caritas and their siblings and cousins asked their friends, neighbours and colleagues if they could help out. Soon there was a much bigger group of people than just the family giving their time voluntarily at the hospital. Spès’ little sister, who was studying to be a doctor, got in contact with the doctors at the hospital. One day the doctors explained that their sick uncles and many other patients had AIDS. And so the day came when a woman died, leaving her little girl behind her. “What do we do now?” asked Caritas. “We’ll have to call everyone to a meeting,” said Spès. They advertised in the newspapers, on the radio and in various churches for someone to look after the girl. She lived with Caritas’ family for six months. Then the girl’s aunt called and she was able to move there. More and more patients wanted Spès, Caritas and the others to help take care of their children when they died. A couple of patients also wanted to pay them for all the help they received. “We need to set up an organization,” said Spès to Caritas. At the end of 1992, Spès and Caritas founded FVS (Famille pour vaincre le Sida, Family to Fight AIDS). They used the money they were given to buy food and pay for schooling for the patients’ children. Children who have been orphaned as a result of AIDS, mass murder during the civil war or other causes have always had a friend in Spès. 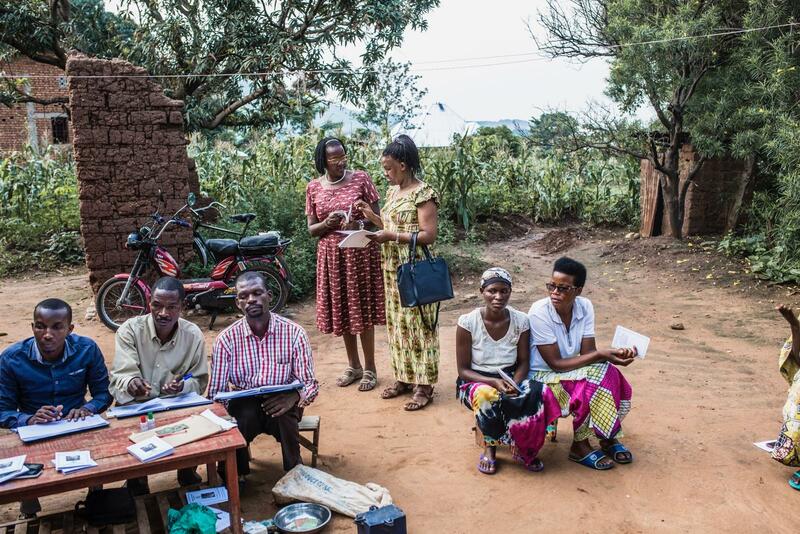 When Burundi’s government started offering poor people cheap health care, FVS became involved in helping hand out healthcare cards. Their contact with the government led to Spès being invited to meetings with other organ­izations. “I liked the way you talked about your way of working,” said a woman from Switzerland. Spès said thank you, but then the woman started talking about something called projects. “I’m sorry, I don’t understand what you mean when you talk about projects,” said Spès. “Don’t you conduct your work as projects? Then how do you apply for funding to do your work?” wondered the woman. “Give food to the patients’ children so they can go to school,” said Spès. The woman showed Spès how to write a project application and promised to organize funding. There was no way to stop HIV and AIDS, but in 2001, WHO (the World Health Organization) decided that everyone in Burundi who was HIV positive would be entitled to free antiviral drugs that prevent the HIV virus from developing into AIDS. FVS was one of the organizations that would be handing out the medicine. Spès and Caritas opened the first FVS clinic, where people who were HIV positive would be offered health care, medicine and mental support. “If a child gets an education, they can get a job and lift themselves out of poverty, and then more children can get to go to school,” says Spès. The organization that Spès and Caritas founded in 1992 was now doing much more than just caring for sick people. 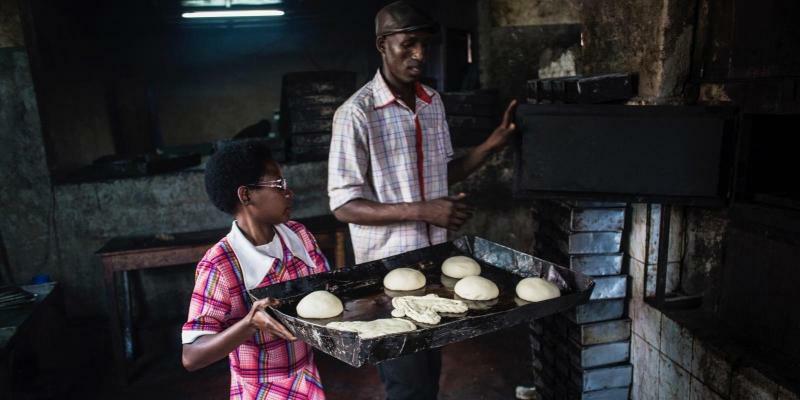 From the end of 1993, Burundi was affected by a long civil war. Many children lost their parents. FVS looked for new homes for them, just as they did for the children of patients who had died. The children’s foster parents needed money to buy food and clothes and to pay for schooling for these children. That’s when Spès had the idea for FVS solidarity groups (Nawe N´uze). The members of the solidarity groups buy shares or membership. The money from the groups helps to buy school uniforms and school ma-ter­ials for the children, the adults can take out loans for small business projects, and there’s also money for health care if any of the group’s members or the children fall ill. The most important thing for Spès is that the adults earn money, so they can invest more money in their solidarity group and help more children. 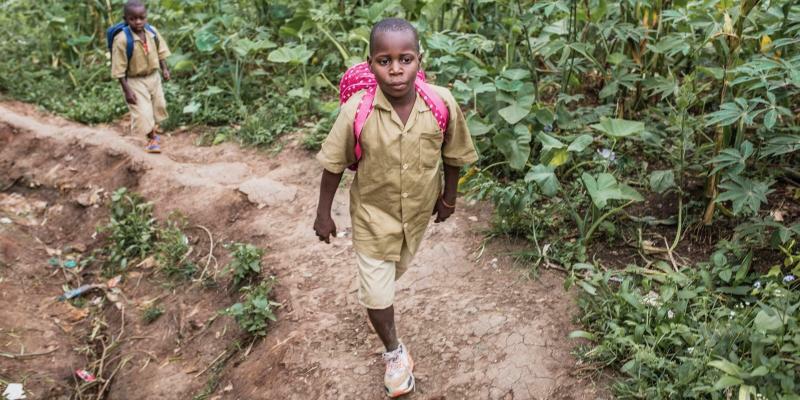 “When children get to go to school, they learn things, which reduces the risk of them becoming ill or getting HIV. They get an education, and they can go to university and get a job so they can help their family. If a member of the solidarity group or a child man­ages to get themselves out of poverty, then more children can go to school. Nawe N´uze is sowing seeds for the future,” says Spès. One day, Spès met an older woman whose daughter had been assaulted and had a child she didn’t want. The daughter gave the child to her mother and disappeared. When Spès met the woman, the young child was very ill. The woman explained that the doctor had said the girl needed antibiotics. She needed two boxes of tablets, but the woman could only afford to buy one box. She could buy the next box once she’d sold a few vegetables, which would be harvested in a couple of months. Spès went home, gathered FVS’ management team together and presented her idea. They decided to create healthcare insurance for the people they helped. Then the woman wouldn’t need to wait until harvest time to buy the medicine for her grandchild, who needed help now. “When I see someone who needs help, I don’t hesitate. I’ve always been this way. When I see a street child we’ve helped go to school with their school books under their arm, it makes me happy,” says Spès. Celestin’s dad didn’t want to know him, and he was bullied at school. Ninette and her mum were about to go to bed when they heard movement outside the house. 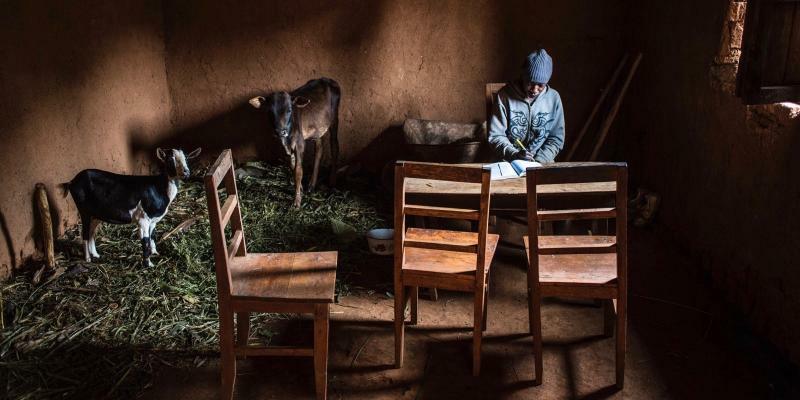 When Evelyne missed lessons and didn’t do her homework, she had to retake a year of school. Floriane’s mum has always been ill and her dad works a lot. FVS Amade has set up Child Protection Groups in the suburbs and villages where they work, to ensure that orphaned children come to no harm and are not exploited. Their mum and dad beat Evariste and his younger brothers Selmani and Eric, so they ran away from home and lived on the street. 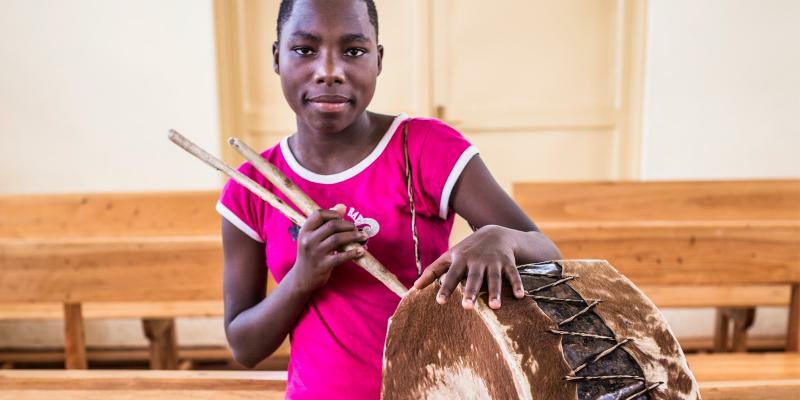 When Arlette feels sad and misses her family, she usually plays the drum. 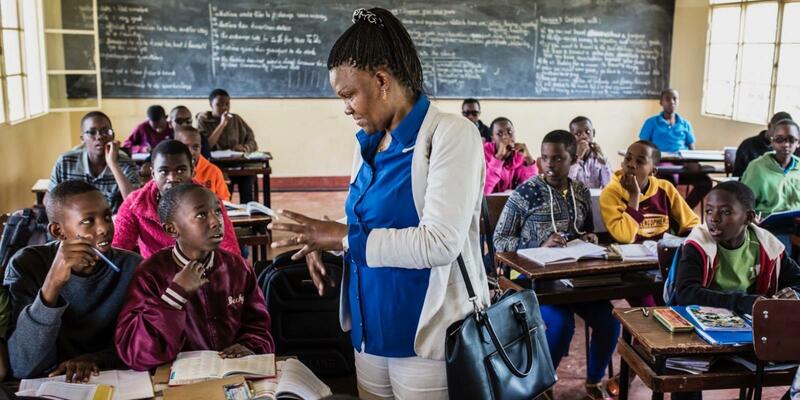 Spès Nihangaza has been nominated for the World’s Children’s Prize because for over 25 years she has been fighting to help Burundi’s orphaned and most vulnerable children.